Honeywell UV100A2008 Ultraviolet Surface Treatment or Air Treatment System. The UC100 Ultraviolet Air Treatment System Replacement Lamp is for use with the UV100 Ultraviolet Air Treatment System. 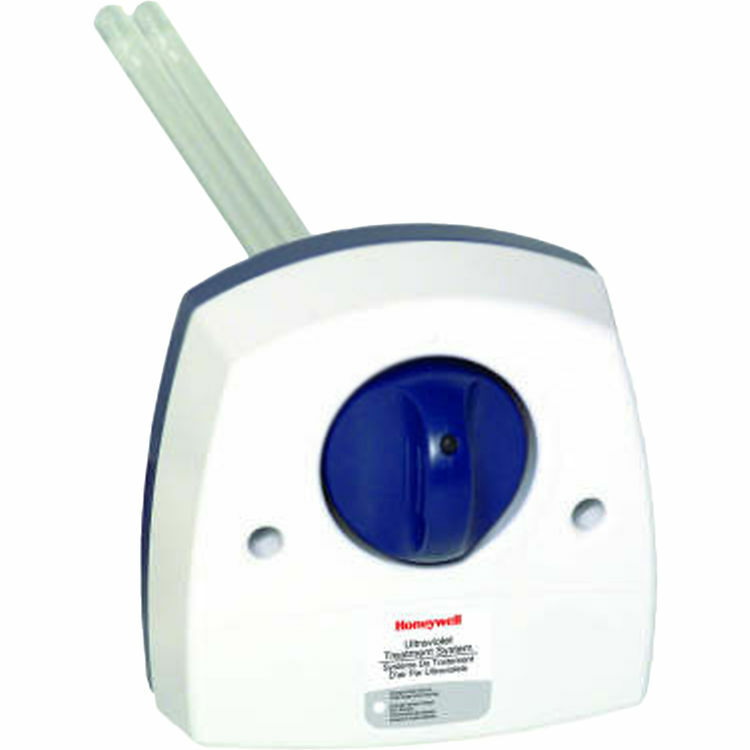 Honeywell Coil Irradiation unit kills up to 99.9% of mold on system cooling coils. Tests show a reduction in colony-forming aspergillus niger mold spores when surface was irradiated at a distance of 18" for three hours in still air.